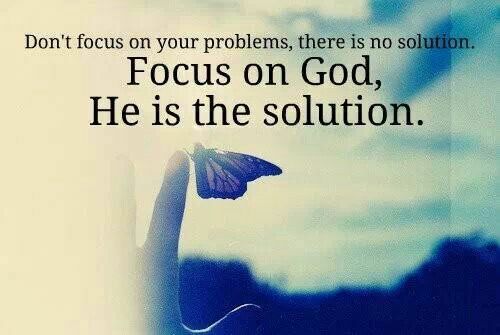 Refocus your attention on ME, says the LORD. Turn away from the fears and doubts that plague your mind and clutter your life. Let My mind be in you so that you think MY higher thoughts and go in My Higher WAYS. For though I direct your path, I do so with MY WORD that enlightens your path. Let My Word that is settled in heaven be settled in your heart and mind and life, says the LORD. For you will go in the direction that your thoughts take you. Greater WORKS require greater faith, and greater faith comes from My superior WORD. My Word of faith is not passive, but active. Activate it in you. It begins in your heart, but it must not remain there. Action is what I want. Act on My Word. Let it be in your heart and come out of your mouth, and let My Word renew your mind, says the LORD. For as you shift from the confines of the feeble flesh into the limitless power of My SPIRIT, you will no longer be a prisoner of hopelessness. You will not be ruled by the darkness of this world. You will not only overcome, but you will overwhelm the enemy. You were not merely made of physical material that is fallible, but My supernatural substance that cannot be destroyed. It is MY Spirit within you that creates! My SPIRIT heals. My Spirit cannot be defeated and MY SPIRIT rules. The Sword of MY SPIRIT is MY WORD in your mouth. LET My word resound again and again, relentlessly out of your mouth. For out of MY mouth proceeds a two-edged sword. Let it be the weapon of your choice that cannot be defeated, says the LORD. For as you stand in ME and MY Word, you will never fall. As you proclaim My Word, you will see it happen. As you meditate on MY WORD, you will experience it for yourself and others. For your attention is important. PAY ATTENTION! Stand at attention! Let ME have your full attention and do not let the enemy get a word in edgewise. For this is not a war game but a real skirmish and you have infallible weapons that cannot be defeated. USE THEM as you stand, unafraid and undefeatable in My pure, holy, undiluted Word and know that the results will not be mixed and imperfect. For MY WORD is perfect. My ways are perfect. My work is perfect. My will is perfect and all agree. Stand in total agreement and alignment with ME and MY Word and see the fullness of the greater works that I already told you would come forth, says the LORD. Amen, Amen and Amen HalleluYah,!!! !